Since 1993, Geolex has been providing professional geologic, geophysical, and hydrologic services to industry, individuals, and legal professionals throughout Montana. We specialize in geologic and water resource issues pertinent to land conservation, real estate and energy development, mine and railroad reclamation, and watershed protection. We offer geophysical services for civil and environmental engineering needs, utilizing seismic, magnetic, and electromagnetic methods to acquire information about the subsurface. Our clientele come from the industrial, legal, and government sectors. Our technical experience includes utility location, unexploded ordnance detection, and mineral prospecting, as well as water quality, geohydrology, water and mineral rights, and resource protection. 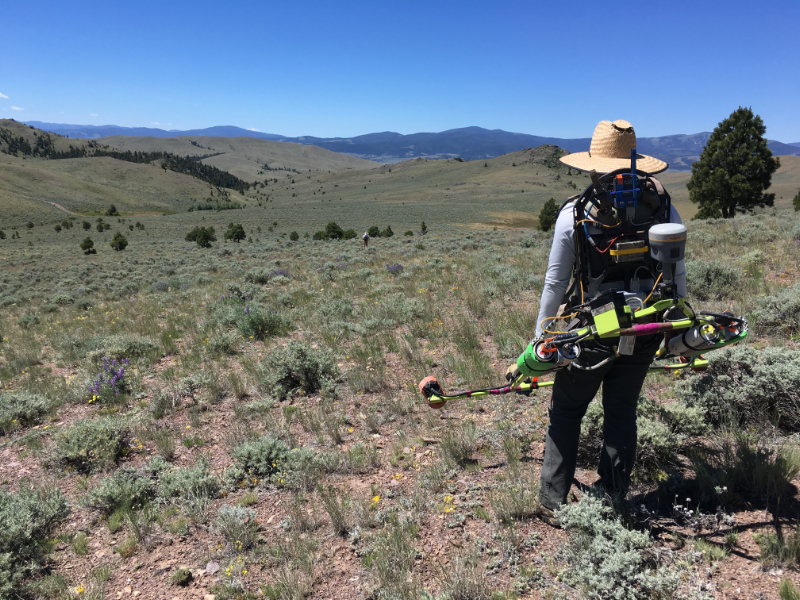 Magnetic survey conducted near Townsend, MT.